The changing spectrum of screen sizes and resolutions calls for a flexible solution to ensure that your website looks good across all form factors. 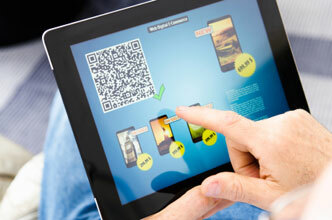 A new approach is required and this new approach to web design is known as Responsive Web Design. 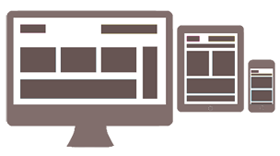 Responsive websites use fluid grids and conditional style sheets (using media queries) to deliver a superior browsing experience on smart phones and tablets. Is Your Website Keeping Up With The Mobile Revolution? In the UK 52% of UK mobile phone users have a smartphone and 28% of internet usage is from a mobile phone (2012 figures). It is increasingly important that your website operates effectively on smaller devices (mobile phones and tablets) without excessive scrolling around and without awkwardness in using the menu system and other interactions. Users’ expectations have changed. People expect to be able to browse the web on their phones just as easily as they browse the web on a desktop computer. We offer websites for desktops, tablets and mobile phones that respond and adapt to the device on which they are displayed.